NIXTEK has unveiled their new full colour 3D printer called Tomato, that is capable of printing and mixing the major colours via four individual reals and the chromatic, four colour process. 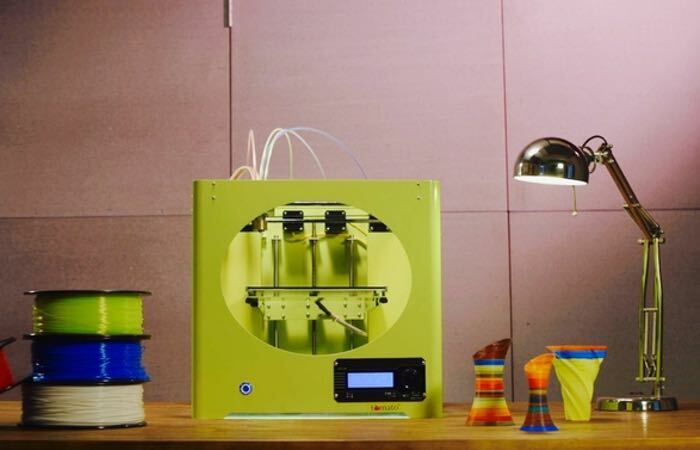 The full colour 3D printer is fitted with a mixing camber that is capable of creating the required colour as it prints, to provide even more functionality and personalities to your 3D printed objects. Watch the video below to learn more about the interesting concept that is currently looking to raise $100,000 in funding via Kickstarter. “Color is a tool that helps us gauge our perception of reality to create new expressions of emotion. And with Tomato’s mixing chamber, it’s capable of mixing up to 4 different color filaments, resulting in infinite color possibilities. This is where the real magic happens. Tomato’s hot end extruder has a unique built-in mixing chamber that allows color filaments to be injected and mixed based on your printing needs. For more information on the new Tomato full colour 3D printer jump over to the Kickstarter website for details.